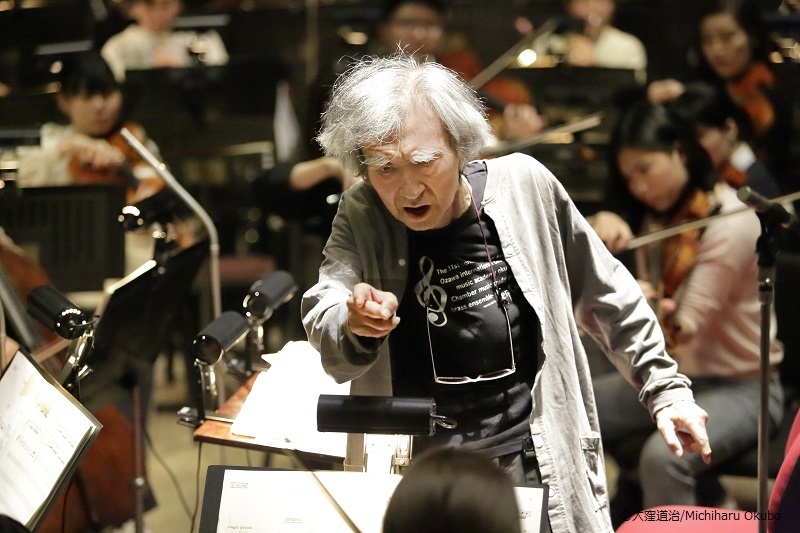 Seiji Ozawa Music Academy Opera Project XVII “Carmen” will perform public performances on March 15 (Fri), 17 (Sun), 21 (Thu/Holiday) and 24 (Sun). The orchestra and singers had been practicing separately but today they rehearsed together for the first time at the ROHM Theatre Kyoto. 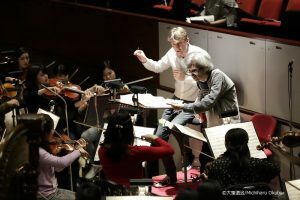 The music director Seiji Ozawa joined the rehearsal started from 3 pm. For many orchestra players it is their first time to play in the pit, and to play with singers on the stage. At the beginning of the rehearsal, the maestro said to the students “you need to listen to the singers’ voice. Listen!”. He conducted the overture that opens passionate opera. 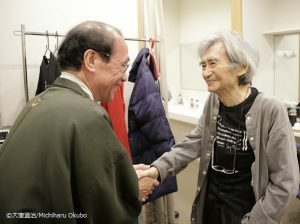 The mayor of Kyoto city paid a visit to the director who came to Kyoto after an absence of nearly a year.